Missouri University of Science and Technology will kick off a Golden Jubilee celebration marking the 50th anniversary of its computer science degree program with a competition designed to help society through computing. Alumni and students are invited to participate in Missouri S&T’s first ever Hackathon for Humanity (H4H), one of the many ways we are celebrating 50 years of computer science excellence. Team prizes are: $1000 for 1st place, $600 for 2rd place, and $400 for 3rd place! The Hackathon for Humanity kickoff is Thursday, September 3, 2015 from 12:30-1:30 pm Central Time in CS 209. Free food and beverages for those who can attend in person. For remote attendees (e.g., alumni, students who just woke up), if you just want to watch, use the passive live stream at https://www.kaltura.com/tiny/dge9i or, if you want to actively participate, then use this WebEx link with meeting number 637 816 875 and password hackathon. During this event, examples of apps serving society will be provided and the procedures for forming teams and submitting entries demonstrated. This is the perfect opportunity for Q&A and to form teams on the spot. Key dates are shown below and complete information, including inspiring examples and hackathon rules, can be found at the Hackathon for Humanity website. This article was updated on September 1, 2015 to include the URLs for live streaming and WebEx participation. Registration for Homecoming, Oct 22-24, 2015 is Now Open! 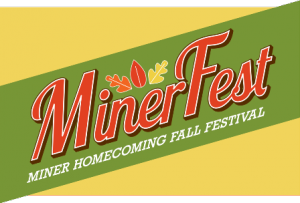 Our Computer Science Golden Jubilee celebration kicks off at the MinerFest Homecoming, Oct 22-24, 2015 in Rolla, Missouri. A complete list of homecoming activities for all organizations can be found at: mineralumni.com/homecoming . A link to registration can also be found at the same page. Some Homecoming events require reservations. Others do not. Two Golden Jubilee events require advance reservations. 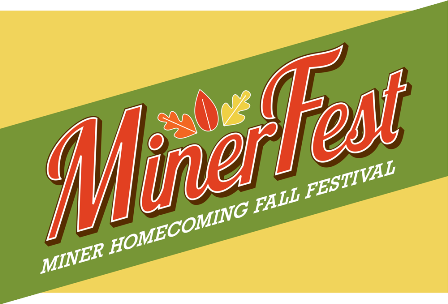 Please use the registration link on the mineralumni.com/homecoming page to sign up for these events. Reception at 5:00 pm. Dinner at 6:00 pm. Doors open at 2:30 pm. Presentation begins at 3:00 pm. Cost: Free, but reservations for tickets are required. Pick up your tickets at the Leach Theatre Box Office, M-F, Oct 14-23. See cst.mst.edu/50years/homecoming for additional Golden Jubilee events that do not require reservations. Our first event in the Homecoming Kickoff to the Computer Science Golden Jubilee will be a recognition dinner for Dr. Arlan DeKock. 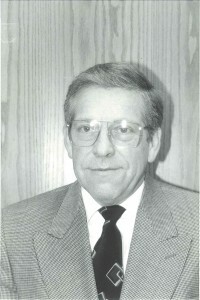 Dr. DeKock worked at the University from 1968-2006, first as a professor of Computer Science, later as the chair of the Department of Computer Science, and eventually as founding dean of the School of Management and Information Systems. A dinner in Dr. DeKock’s honor will take place on Thursday, October 22, 2015 at the Comfort Suites Inn. Registration for the dinner and other Homecoming events is now open. In preparation for the recognition dinner, we are collecting stories, tributes and photos related to Dr. DeKock which we will compile in a keepsake book for him. These can be humorous or serious, long or short. You might highlight some aspect of his character illustrated by a personal observation or recall some practical insights you gained from him. In order to be included in the keepsake book for Dr. DeKock, we need to receive your tributes by September 22. We will also share these via this blog throughout the Golden Jubilee Celebration year. Please send to: csdept@mst.edu . Be sure to include your full name, your relationship to Missouri University of Science and Technology (e.g. alum, faculty, staff), your major and year of graduation if you are an alum, and your email so we can contact you if we have any questions. Related Article: Registration for Homecoming, Oct 22-24, 2015 is Now Open!